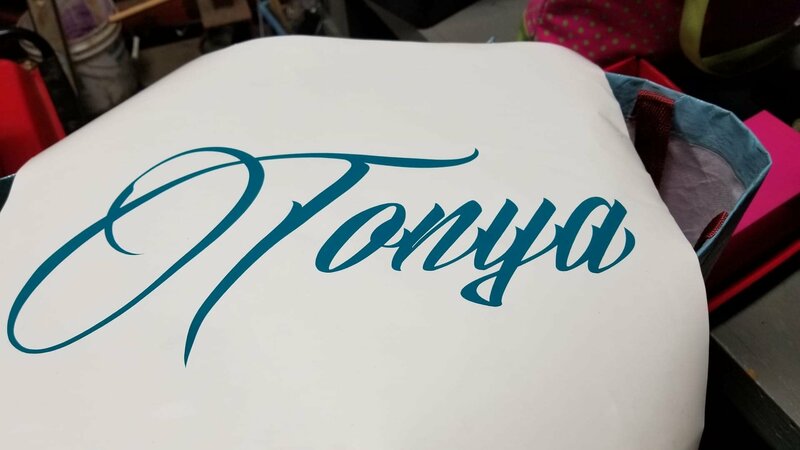 hello all i have a customer who wants a bold script font . i have found a font that would be good to use but the letters itself need to be wider than it comes how does one do this? I usually just add some stroke and then expand it and weld it all together. I use Illustrator and each program may go about this differently but should still be able to do it. what font is that, and which program are you using ti design and/or cut? getting each red dash 1" apart it might make it look a little funky, because the kerning is different between some of the letters. I think the OP is saying they need the red parts to be 1" thick at that point. Still may require a total mash job like mfatty suggests. Not out of the realm of possibility but not necessarily simple node edits either.